Sony Xperia XA Ultra is coming to the US and Canada to let you take "exceptional selfies"
Officially announced yesterday, the Sony Xperia XA Ultra is a large smartphone made with selfie lovers in mind. The handset is the world's first to feature a 16 MP front-facing camera with OIS (optical image stabilization) and LED flash, promising to let you take "exceptional selfies even when the sun goes down." Sony didn't say how much the Xperia XA Ultra would cost, but it mentioned that the smartphone is going to be available starting July in select markets. It turns out that one of these select markets is the US, as the Xperia XA Ultra is already showing up on Sony Mobile's official US website (with a coming soon sign attached), alongside other members of the Xperia X family, including the regular Xperia XA. Most probably, Sony will sell the XA Ultra unlocked in the US, just like it's doing with all its recent handsets. The Xperia XA Ultra will run Android 6.0 Marshmallow out of the box, sporting a 6-inch edge-to-edge 1080p display, and being powered by an octa-core MediaTek Helio P10 processor clocked at 2.0 GHz. Other notable features include a 21.5 MP rear camera (though this one doesn't have OIS), 3 GB of RAM, 16 GB of expandable storage space, and up to 2 days battery life. According to Mobile Syrup, Sony also confirmed that it's launching the Xperia XA Ultra in Canada sometime later this year. Once again, pricing details are missing. Let us know if you're planning to buy the Sony Xperia XA Ultra, and, if you do, tell us how much you think the phone should cost. $399, but knowing Sony, they'll price it at $599. An spec'ed up C5 Ultra? Wait I just saw on GSM arena that the GPU is the Mali t880 mp2!! THE MP2!!!! And I thought the mp4 was a bad idea on all these new nice looking huawei devices. Nope nope nope not buying. ARM Mali-T860 MP4 700MHz is from Kirin 950. Why you compare it with Helio P10? Mate 8 is not same level as XA Ultra. Sorry I miss read that you're right. Still pretty weak for a device we know Sony will overprice. 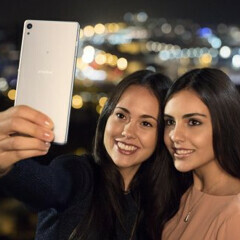 We Sony fans wanted OIS for a long time, and then they only make a front camera with OIS... And who cares about selfies anyways. But still, I've got high hopes for their H2 flagship, it can't come soon enough. Only 3gb RAM? So you is becoming like Motorola. I would love a 6 inch screen after finally giving up my Z Ultra for a Z5 Premium. But the specs are just too low range on this XA Ultra..
How do you like your Z5 Premium? I've been looking into getting rid of my Z Ultra for a comparable-sized phone but not sure I can handle going down to a 5.5 inch screen quite yet.